Theresa Bradley-Banta, Founder and CEO of Theresa Bradley-Banta Real Estate Consultancy, is a Winner of the 2012 Stevie® Award for Women in Business, the leading national award for women in business, as Entrepreneur of the Year, Business Services, one of the award’s most important and competitive categories. Bradley-Banta is one of the best known investors in the Denver area; she has also invested widely across the U.S. – in New York, Pennsylvania and Ohio. Throughout her years in investing – she began in 2004 and has consistently doubled her income and net worth since then – she has become equally well-known as one of the country’s leading mentors in the field of real estate. 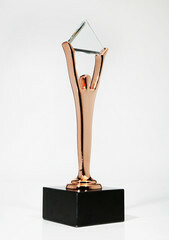 The Award was given to Bradley-Banta in large part for her dedication to investing, yes, and succeeding at it, but really for helping others – beginners and professionals alike – learn what they need to learn to become better and better investors and to go to the next level of investing as part and parcel of this learning. Profits simply increase as a matter of course. 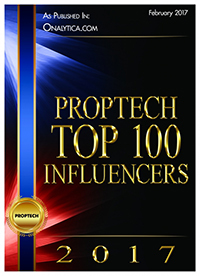 On December 7, 2012, Bradley-Banta is launching her first book titled Invest In Apartment Buildings Profit Without The Pitfalls. The book is a complete compendium of all that one needs to know to invest in multifamily dwellings – often the “starter” investment for those who take that important next step after investing in a residential property that is not a primary residence. Apartment buildings were also what Bradley-Banta predicted would become the hot market in real estate when she began – and indeed they have. As 2012 ends and 2013 begins – and the housing market is the one shining star in the economic recovery according to November/December housing reports – Bradley-Banta is evermore in demand for her selfless mentoring regarding the investing skills she uses to great acclaim. In this mentoring capacity she stands alone – and she has won this major U.S. business award as a result. For more information, visit www.theresabradleybanta.com. Review Copies of Invest In Apartment Buildings available on request.